Head of Iran’s Passive Defence Organization Brigadier General Gholam-Reza Jalali says following a recent interception of President Hassan Rouhani’s phone calls, the Islamic Republic has decided to design and produce a new cell phone which can’t be eavesdropped on. 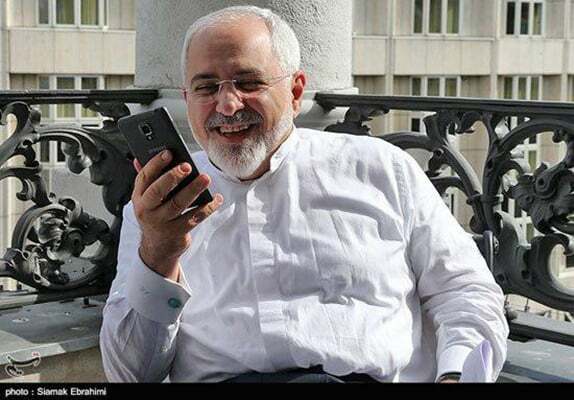 Elaborating on a project to produce new cell phones for the Iranian officials, the general said after President Rouhani cell phone was tapped, efforts have begun to design and produce new cell phones resilient against any type of eavesdropping but the project is not complete yet. “We usually don’t take passive defence seriously because it is too routine, but we must be aware that it is a highly complicated issue with serious consequences,” he said in an interview with the IRIB News Agency. General Jalali said external threats fall into two categories of natural and unnatural, explaining that the natural threats like floods and quake originate in the nature, and the enemies have no role in them. “But unnatural threats mainly originate in the new technologies and technical knowledge. Human elements can play a key role in such threats and they change from one era to another one,” he said. According to the commander, the organizations facing more serious threats in Iran take passive defence more seriously. He then referred to the state TV and said once the Islamic Republic was heavily dependent on satellites and any clinches in this area could put the organization into serious troubles. “In line with other threats, the Islamic Republic has also come under economic sanctions targeting its monetary, financial, banking and trade infrastructures. These are some non-military threats at national and international level which can inflict a heavy blow on our country but Iran enjoys a high resilient defence layer,” he said. He stressed that Tehran can bypass certain sanctions in various areas like banking, and turn the threats in the field into opportunities. “The main problem that we face is that the US dollar has the final authority in today’s banking and the US takes advantages of the current situation using dollar as a leverage to exert pressure on others by restricting access to SWIFT. We should decrease our reliance on the US dollar and replace it with other currencies,” he noted.